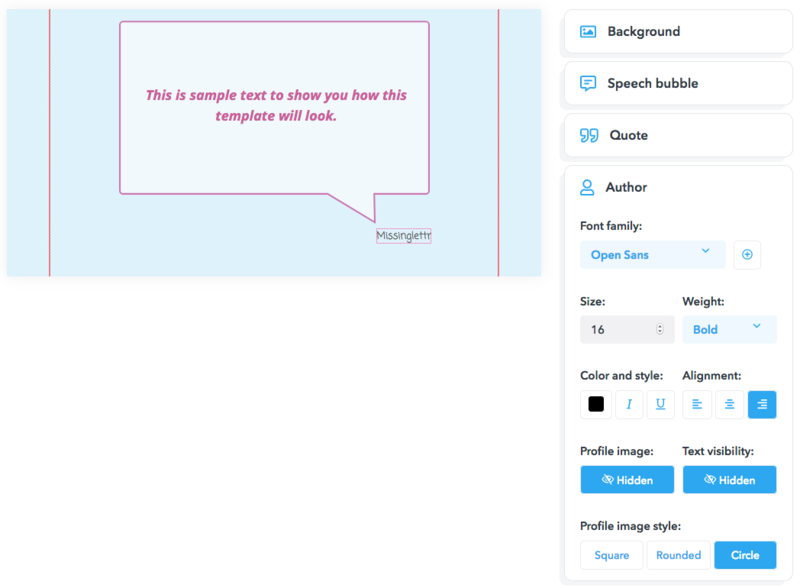 The Quote bubble module uses content found within your blog post to create images to be posted to your social profiles. 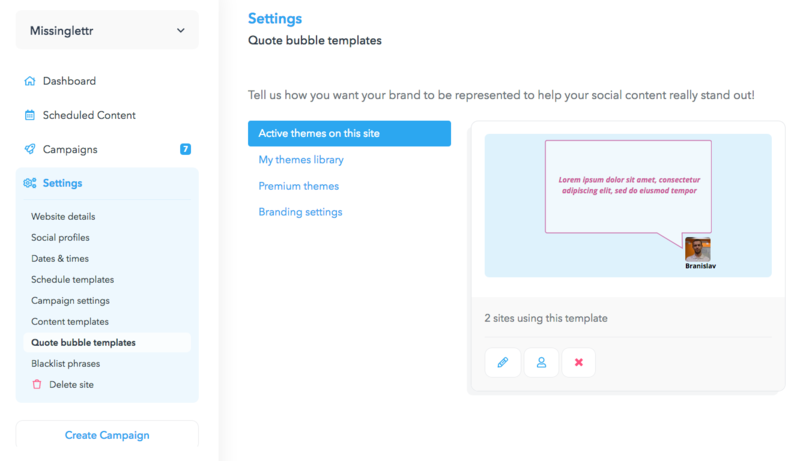 For more info on setting up quote bubbles and branding, see here. The two red lines to the left and right of the quote bubble represent cut-off lines. Anything beyond the borders will be excluded when creating the image. The background refers to the area behind the quote and speech bubbles. Background type switches between available options for backgrounds. Extract image from post will use any available images from the blog post and use them as a background. You can toggle through any available images when reviewing campaigns. Random image from personal gallery will use a random image uploaded to your media gallery. 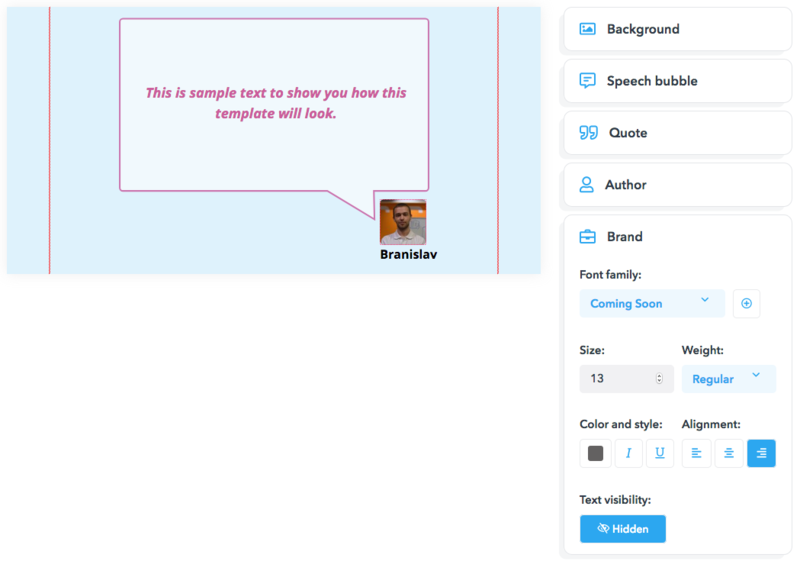 The Speech bubble section controls how the bubble holding the text will look like. 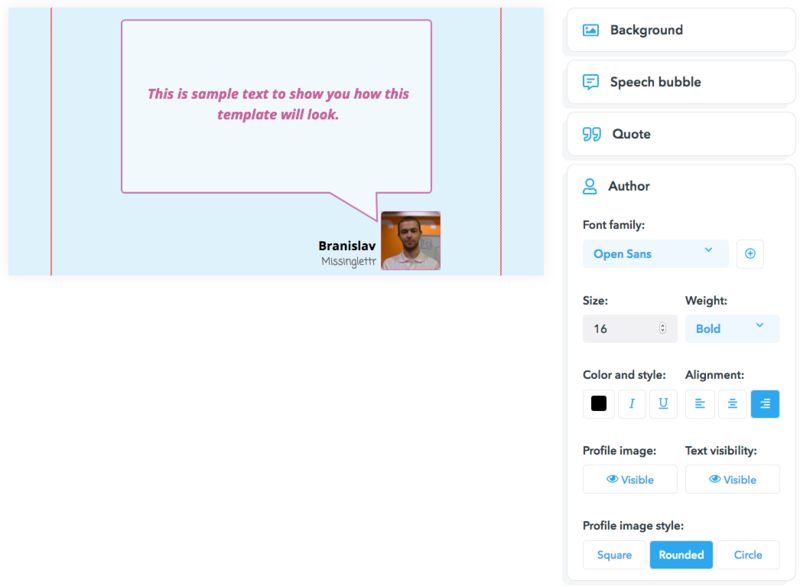 The Quote section controls the fonts and styles used in the content of your quote bubbles. 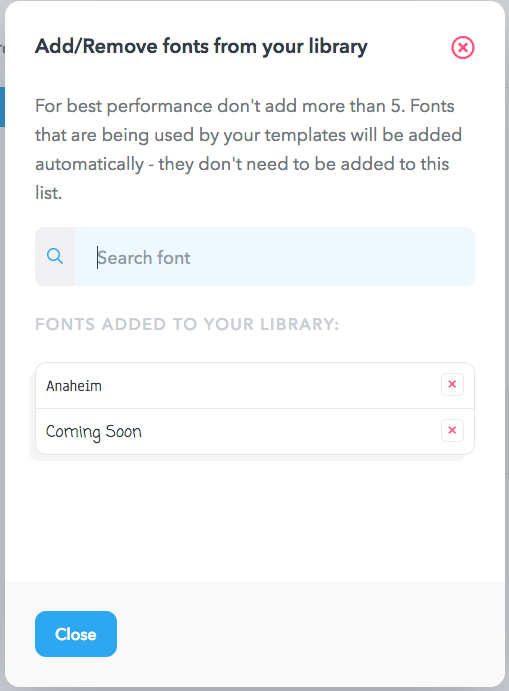 By default, the font size changes dynamically, based on the amount of content present in the quote bubble. 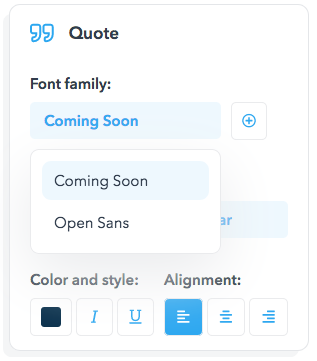 This setting will define the biggest font size we may use. 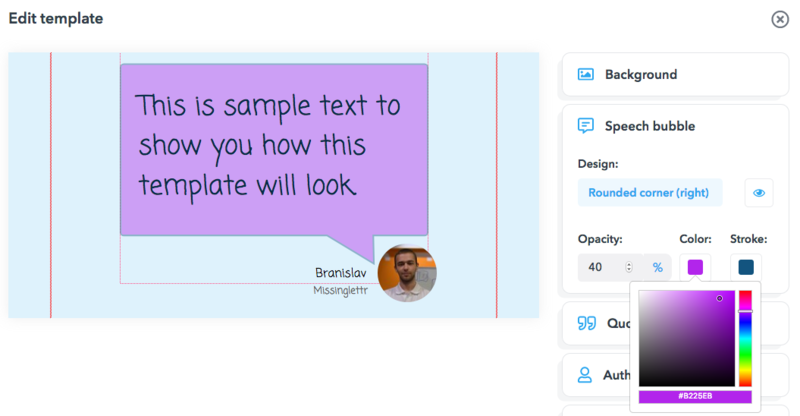 You can change the color of your quote text and apply italic and underline styles. 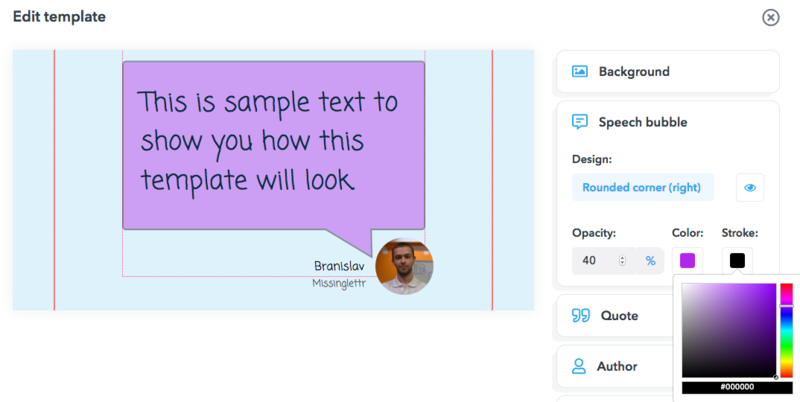 Align the quote bubble text to the left, right or center. 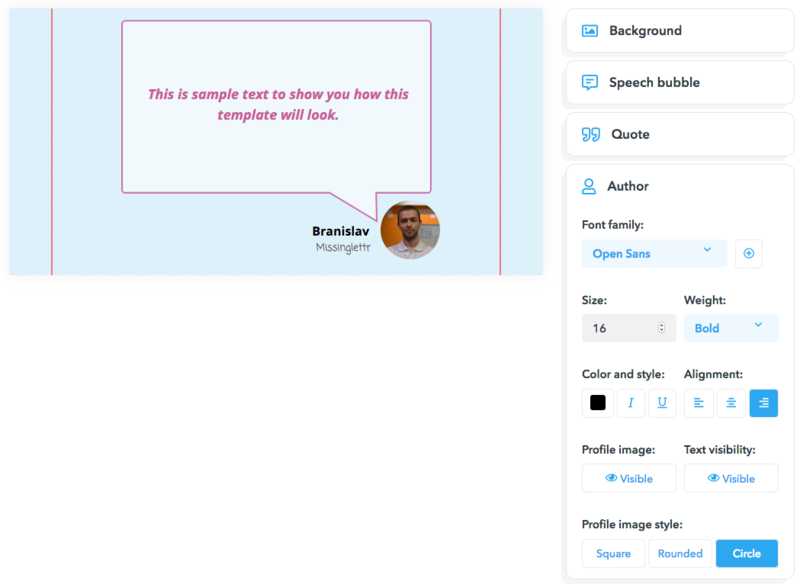 The Author section allows you to control how the Author name and Profile image are shown.